Most people are familiar with transcription but have no idea how big a role it actually plays in their day-to-day lives. Transcription services play a role in the success of nearly every industry and government agency--from automotive to aerospace to retail to scientific research. Professional transcriptionists allow companies, corporations, nonprofits, and government organizations to maintain accurate records, improve training, comply with regulations, develop new products and boost sales. They also ensure that patients receive the best possible care, court decisions are crystal clear and the information is shared equitably among everyone in society. Yes, transcription plays an important role in your day-to-day life. And thanks to advances in technology, its role could become even bigger - especially if you work as a transcriptionist and are concerned about the future of transcription jobs. Technology has changed everything, from the way people communicate with one another to the way they work. Every industry and aspect of life has been affected by advances in technology and transcription services is no different. Lately, there has been a lot of buzz in the industry around speech recognition technology and text-to-speech. Both are affecting the way people feel about the future of transcription as well as the future of transcription jobs. Many people view speech recognition technology as the future of transcription. According to research conducted by the international marketing research firm MarketsandMarkets, the speech recognition industry is expected to more than triple (from $4 billion today to about $12 billion) by the time 2022 rolls around. In addition, text-to-speech technology, which is available on nearly every personal computing device and smartphone, is growing in popularity. But are either of these technological advances truly the future of transcription? And what role will they play in shaping the future of transcription jobs? As with most questions, the answers aren't black and white--or even easily discernible. In general, most people are familiar with three types of transcription jobs--medical transcription, legal transcription, and general transcription. 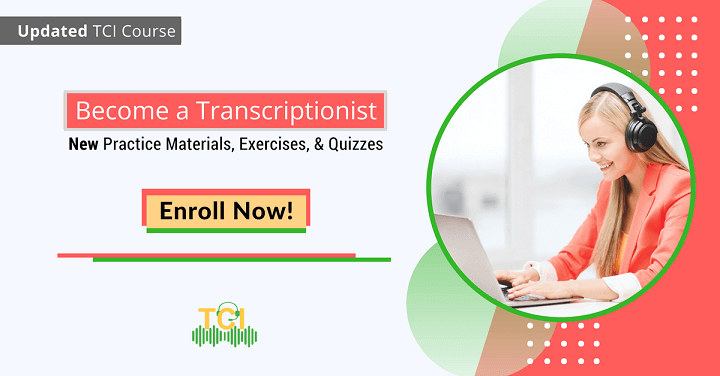 Medical transcriptionists, who are sometimes called healthcare documentation specialists, listen to voice recordings made by doctors, nurses, medical researchers, and other healthcare professionals and then convert them into written documents. Medical transcription is a field that requires the ability to understand and interpret medical terms, acronyms and sometimes highly technical language. It also requires absolute accuracy. After all, people's health, well-being, and lives are on the line. Legal transcriptionists can be found in courtrooms and law firms across the country. They listen to court proceedings, interviews between attorneys and clients, and other meetings with legal ramifications and record what they hear. Legal transcription requires a keen ear and the ability to type quickly and accurately. Grammar and proof-reading skills matter, too, because innocence, precedence and even legislation often lean heavily on what is said. General transcriptionists work in all types of industries, government agencies, and non-profit organizations. They listen to recordings and enter information into computer systems. The data they enter is used to track sales, document actions and help leaders make important decisions. According to the U.S. Bureau of Labor Statistics, the job outlook for medical transcriptionists isn't the best because advances in speech recognition software will decrease demand. The job outlook for legal transcriptionists is better but still expected to grow at a slower rate than the average for all occupations. General transcriptionists, however, seem to have more job opportunities in their futures because they work with more industries--and those industries see the value in words. More companies are investing in online videos as a marketing tool, and more and more of those videos are requiring captions in order to reach the largest possible audience. More companies are expanding into foreign markets, and transcriptionists who are able to speak more than one language are incredibly valuable. All companies and organizations understand the importance of context, so they rely heavily on transcriptionists to not only accurately capture the words that are spoken, but also the meaning and intent behind those words. There is literally no limit to the types of jobs available to those who specialize in general transcription. General transcription offers a plethora of opportunity to those who have the skills to deliver high-quality services. Whether you know it or not, transcription plays an important role in your life. It affects the quality of your healthcare, legal decisions, legislation and the way companies and government agencies meet your needs. It can also be an important part of your future. While jobs in medical transcription and legal transcription may not be as available as they used to be, the general transcription industry offers plenty of work. And, its work that allows you to use your skills to generate income from home, on your own schedule and even someday own your own business or consulting services agency. If you are ready to kick-start your transcription career, connect with the Transcription Certification Institute today to learn about guaranteed internships, improving your skills and enjoying the flexibility of working from home while being part of something that's important.